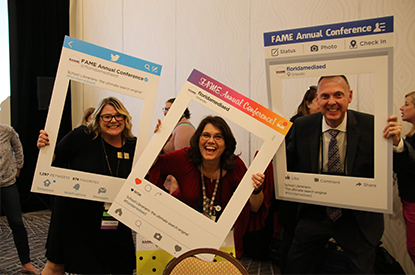 Our annual FAME Conference attracts over 600 school librarians, technology specialists, and administrators, who come to FAME to discover new ways to reinvent their libraries, classrooms, and schools. Librarians are especialy looking to make their libraries accessible, enjoyable and relevant for all kids and adults. The 47th Annual FAME Conference will be held at the Rosen Center November 6 - 8, 2019.